I thought I'd do a separate post on our birthday outfits. 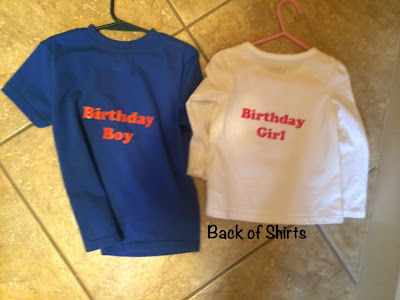 I made the kids some matching shirts. 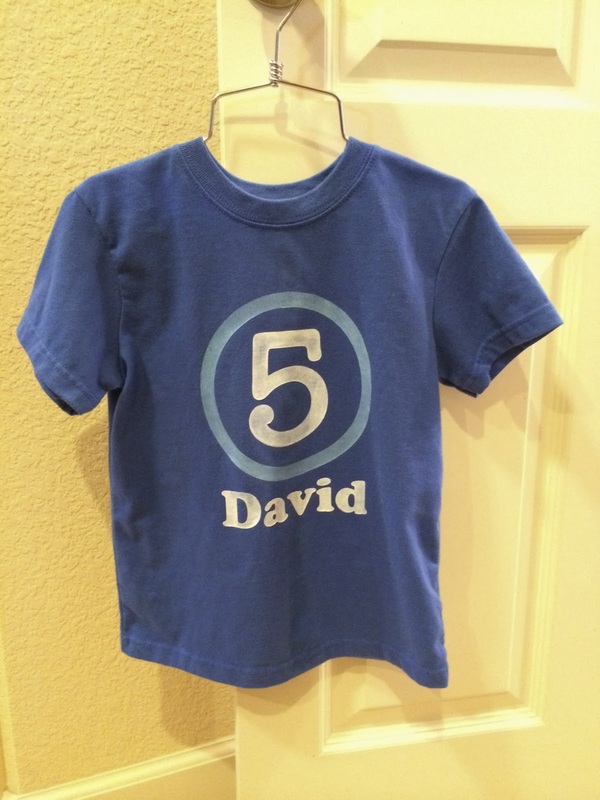 Stencil Vinyl with Fabric Paint on a T-Shirt. I LOVE using the stencil vinyl instead of freezer paper to do the stencil. No ironing and easier to transfer. First, cut out your design using your Silhouette machine. This was an easy design to make because it was just 2 circles and choosing the font. 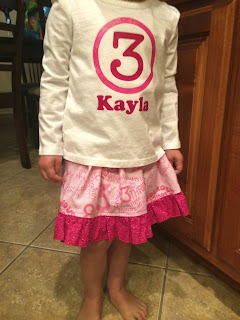 I chose a font that had a 3 that looked the most similar to the 3s on Kayla's skirt. Next, if you're using the vinyl, you need to use transfer tape. 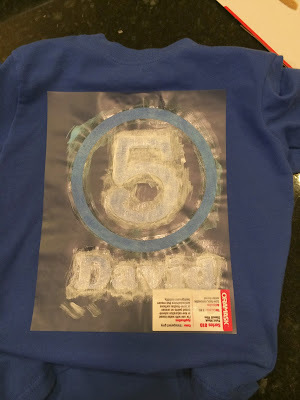 I use contact paper to transfer my design to the shirt. Paint the colors. I made this glow in the dark. After painting my colors, let paint dry and then use glow in the dark paint over it. David loves it. Although, he was a little bummed that the blue didn't glow blue. 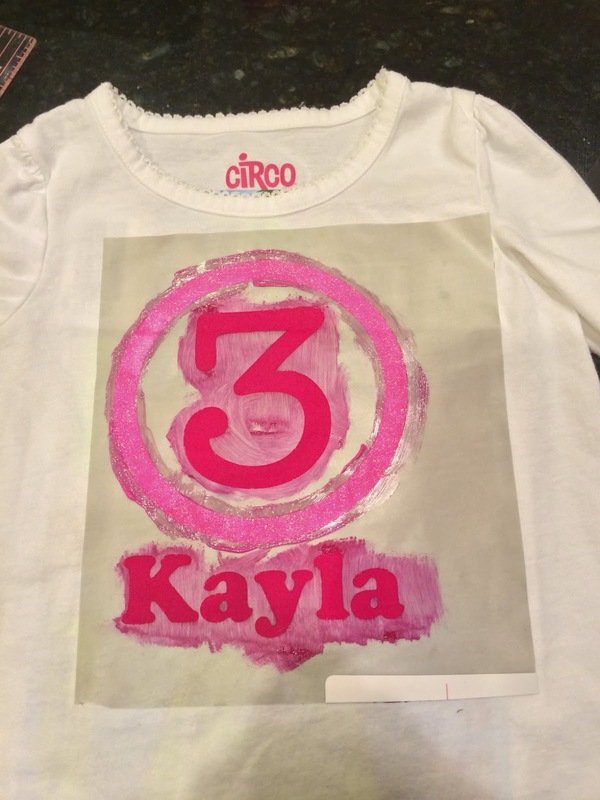 I did the same with Kayla's shirt. Although, I should have moved the design over to center it on the vinyl for easier painting. I think the glow in the dark works better if you're painting light colors like white. Only the circle glows in the dark.